Why is it that one of the most important systems in our vehicle's arsenal is also one of the most overlooked? Brakes are there to help keep you safe and sound when we’re motoring down the road. Like your tires, they are a wear item and need to be kept in check on a constant basis. Unlike tires that may give you a tread-wear rating on the sidewall, the life span of brakes and rotors varies greatly depending on how and where a car is driven. If you live in the city of San Francisco for example, you may only get 10,000 miles out of a set of pads and rotors due to the excessive forces brakes are subjected to from he topography. Whereby living in the Midwest or near the Great Plains may yield over 20,000 miles of life. Think about driving style as well. Are you a person that brakes at the last possible second, or do you come to a stop gradually with traffic. 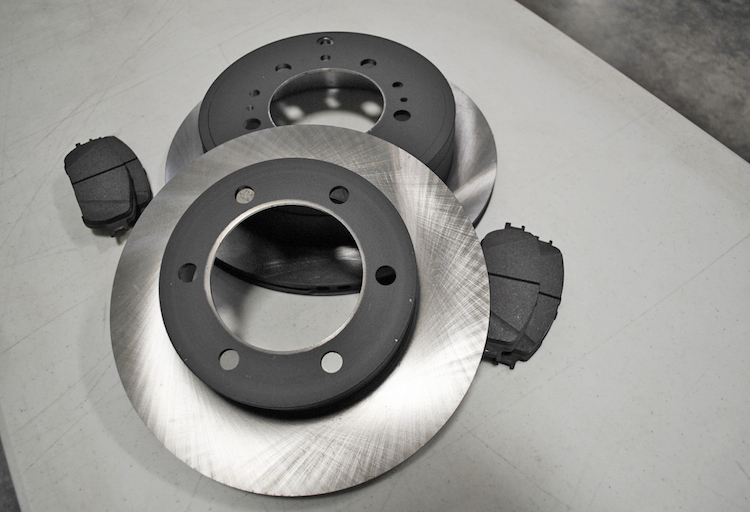 Excessive braking leads to premature wear, so if this is your braking style you may want to reevaluate how you drive and save yourself a few bucks when it comes time for your next brake job. When is it time to replace brake pads and rotors? Have you ever heard grinding, felt the brake pedal pulse or felt a soft pedal when coming to a stop? If so, it may be time for a brake inspection as these are some telltale signs that things are going south. 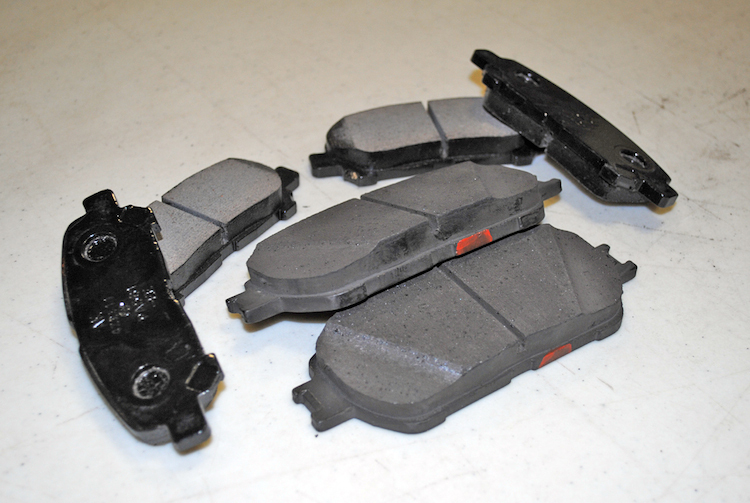 Most modern brake pads are equipped with small sensors that lightly touch the rotor when the pads begin to wear thin. This results in a “squeak” when the pedal is depressed and lets the driver know that pad life is getting low. Many drivers however ignore this and quickly move onto the dreaded “grinding” stage. 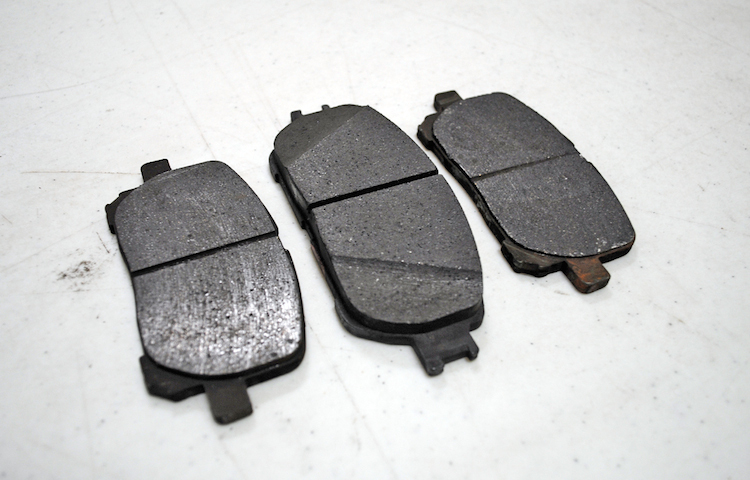 Grinding usually means you’ve worn through the material on the brake pads themselves and are now burning the backing plate of the brake pad into the rotor itself – not good. When this happens the odds of having to replace both pads and rotors is a very good possibility. Got a pulsing brake pedal? This generally means the rotors have been warped and can be the result of constant hard braking, or one or more panic stops. Performing a brake inspection is actually quite easy and can be done by simply removing a tire and inspecting the pads inside the calipers with a small flashlight. Checking pad thickness is as easy as locating the small metal sensor on the brake pad and then checking its proximity to the rotor. 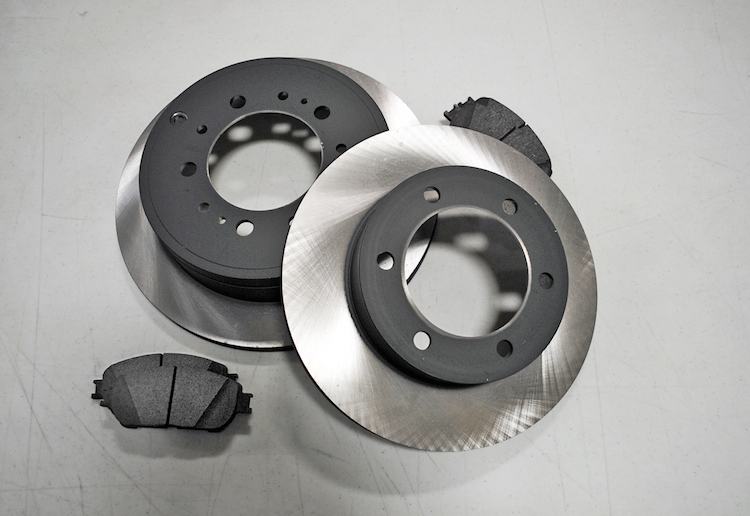 Why purchase factory OEM pads and rotors from your dealer or their website? Are all aftermarket parts the same quality as those purchased from the dealer? Do you know where the aftermarket parts are manufactured? Have these parts been OEM approved? Remember, these are brakes we’re talking about, so make sure a certified dealer technician is consulted before making any changes.